Everything is linked - cash flow in the practice, at home, retirement, accounting, taxes, overhead, investments. Lacking the right systems and process in any of these areas will throw off everything. 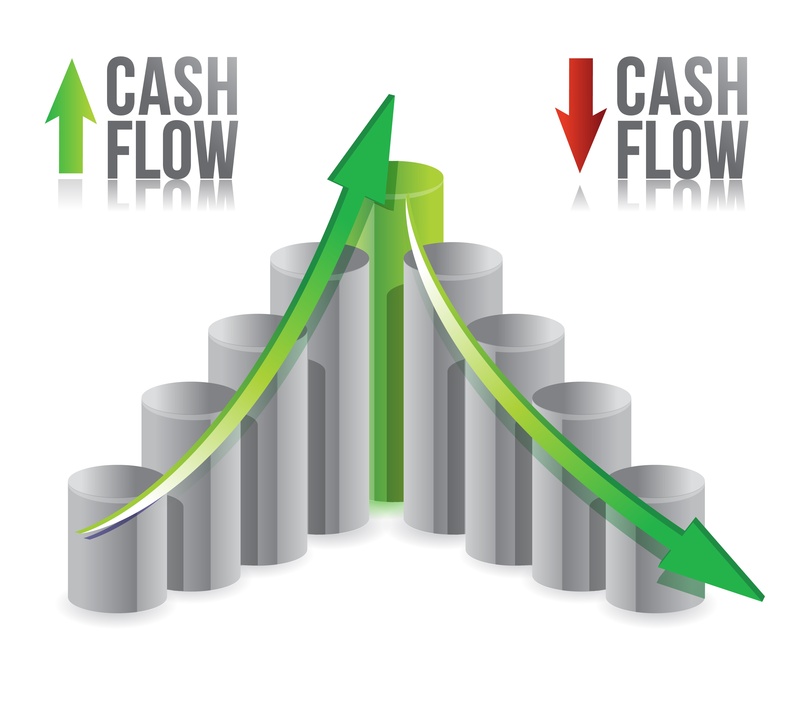 Get off the roller coaster that is your practice account balance fluctuation and takes control of your cash flow. The right comprehensive approach will create consistency and predictability, leading to taking back control of your practice and your future. Manage your practice as the CEO & reduce time spent on the business side of the practice. We will show you key strategies that will lead to more cashflow, and ultimately retiring on your terms. 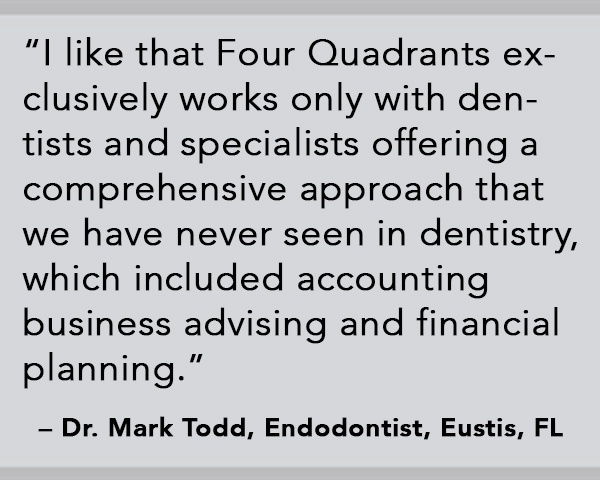 We’ll teach you how to properly balance dental practice cash reserves, taxes, and income. You’ll learn how to structure your pay so you can minimize your tax burden and maximize your retirement savings. 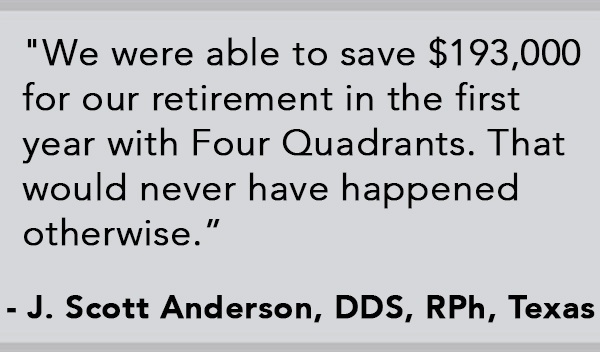 We’ll explain the importance of having an ideal bank balance in your practice to prevent will swings in your accounts and bring stability and consistency. 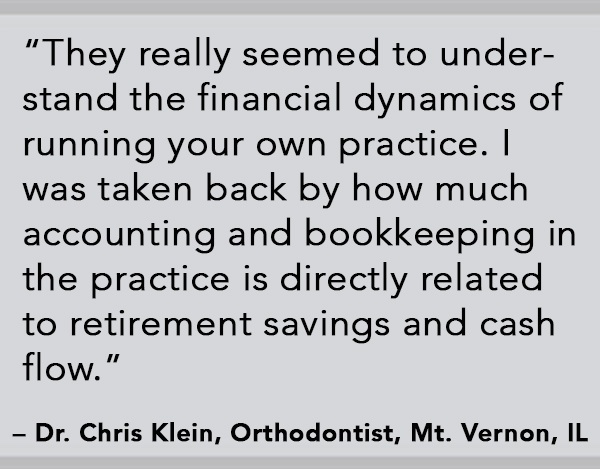 Manage your practice finances like a CFO and reduce time spent on the business side to have more time for patients care. 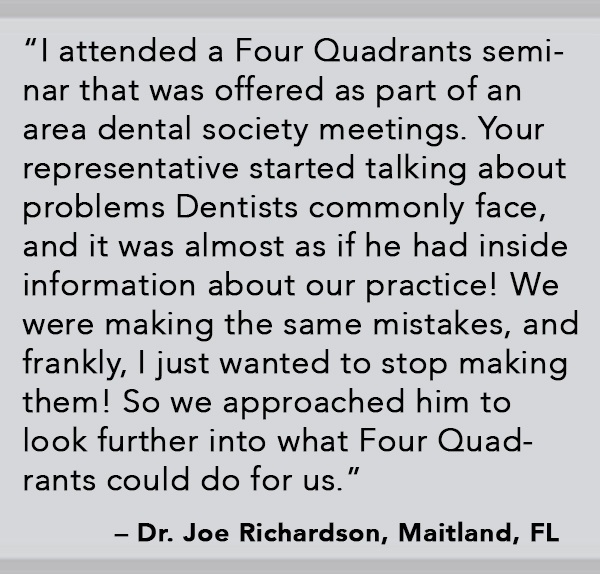 We’ll talk about the importance of having dental specific accounting processes and procedures in your practice. You’ll learn how monthly monitoring of accounts includes clouded QuickBooks and getting quarterly tax estimates. 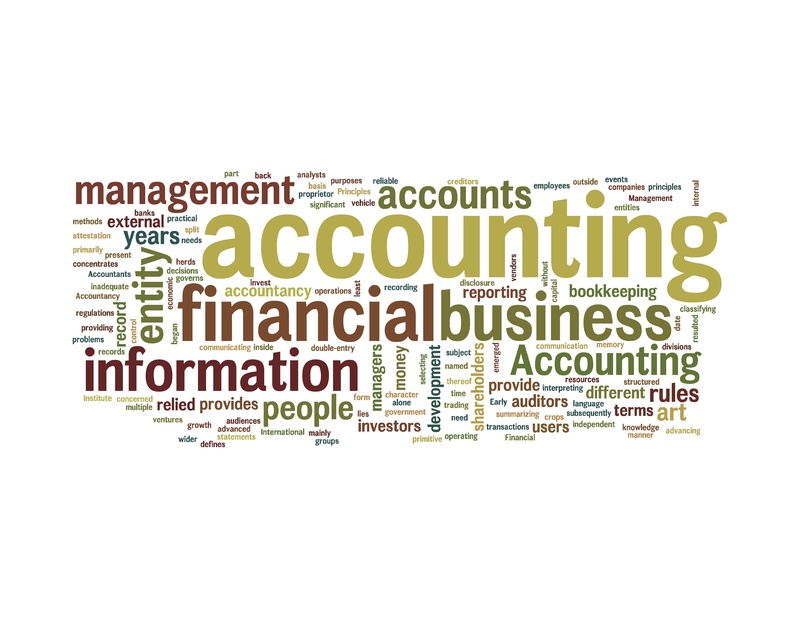 Learn how having a more detailed chart of accounts that allow you to control overhead. Combine all these processes to ensure you’ll never endure another tax surprise that cripples your account and prevents you from saving more for retirement. 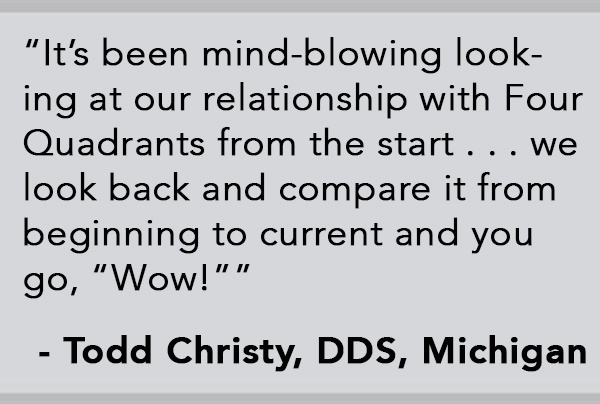 Find more resources for Dental Continuing Education here.